This indicator displays the price changes in the form of rectangles ("bricks") in the background of the usual price chart. An upward movement of the price by the number of points specified in the settings is marked by adding a rectangle above the previous one, while a downward movement leads to adding it below the previous rectangle. 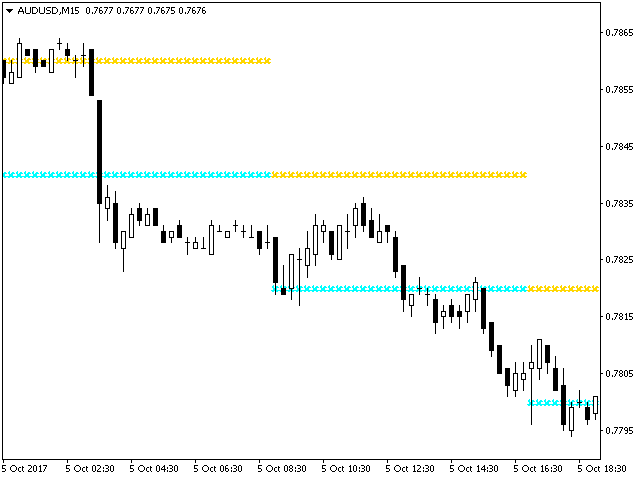 The indicator is designed for visual identification of the main trend. 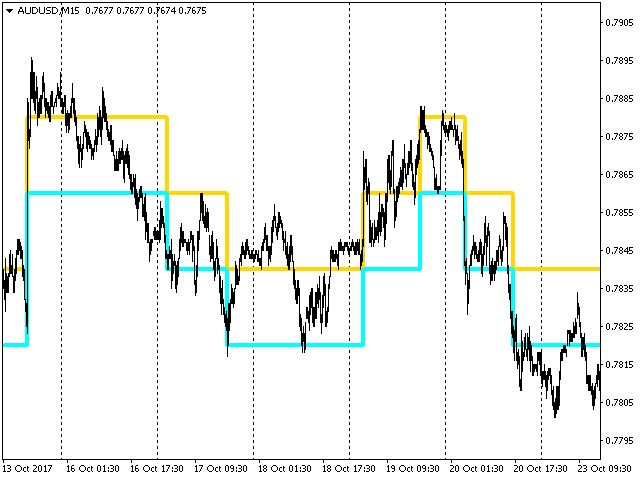 It is used to determine the key support and resistance levels, as it averages the main trend. Such representation ignores minor fluctuations of the price ("noise"), which allows focusing on the really significant movements. 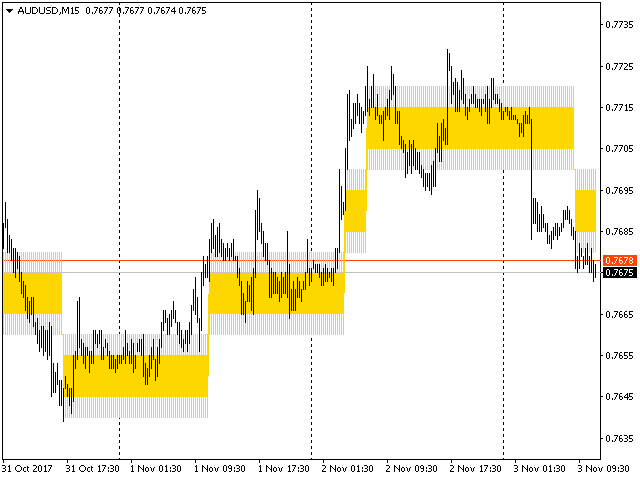 A new indicator value above or below is plotted only if the price movement exceeds the specified threshold value. This value is constant and it can be defined in the settings. For example, if the base value is 10 points, and the price rises by 20 points, then 2 upward indicator values will be drawn. The advantage of the indicator is that any of the bricks can show the duration of its formation in itself. If the price fluctuated within a range, did not rise or fall by the threshold value, then the brick will not register price changes during all this time. Cell - the threshold level or the height of rectangles (bricks), in points (for example, 10 points). 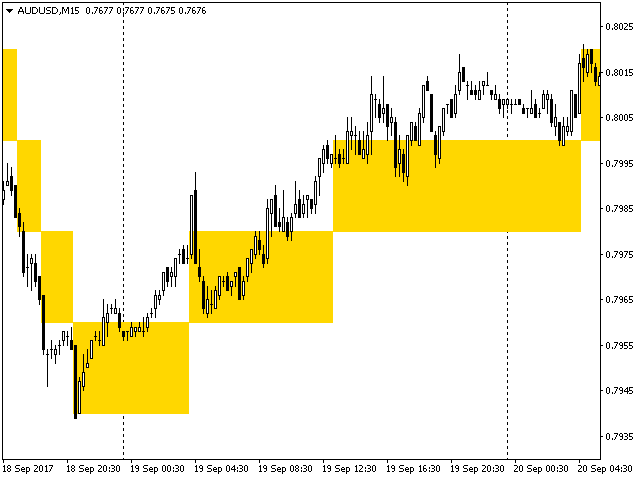 RenkoPrice - price type used for plotting the indicator, High_Low - High and Low prices, _Close - Close prices. Draw - drawing style of the indicator values: LINE - simple line, HISTOGRAM - histogram, ARROW - as a cross symbol, ZIGZAG - segments between nonempty values of even and odd lines (similar to zigzag). If the indicator covers the price chart, tick the "Chart on foreground" box in the chart settings. Уникальный индикатор. Очень помог . Большое спасибо. Исправлено - от рисовка индикатора.